Throw some money at a popular star player of the day and selling replica football shirts or boots becomes an easy job for a marketing manager. 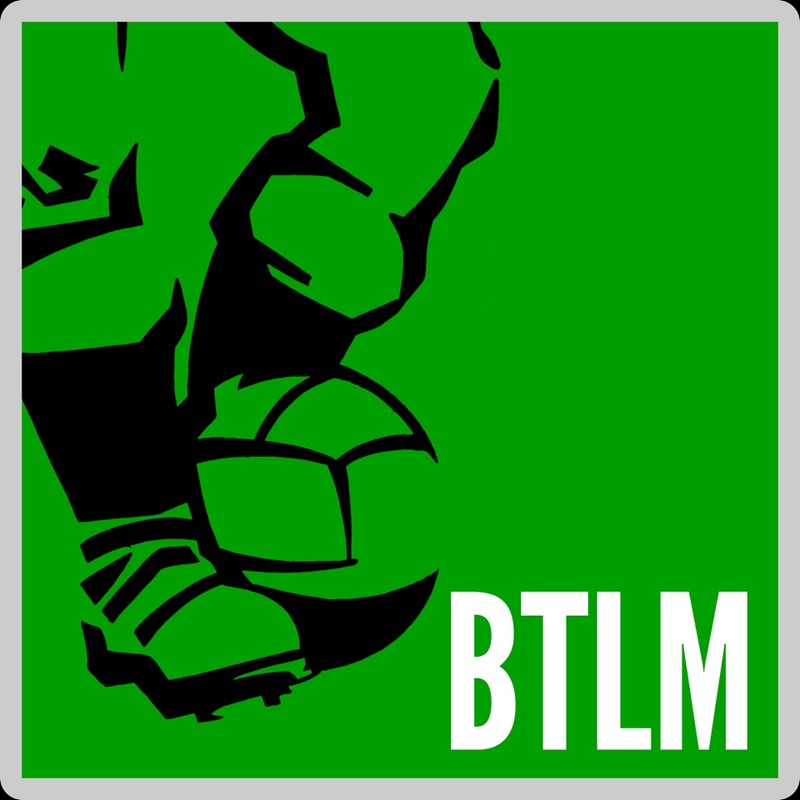 It’s sales by association and aspiration: the simple art of selling to customers who want to replicate as closely as possible the lifestyles of their footballing heroes in the fanciful hope that some of that magic will wear off on them. 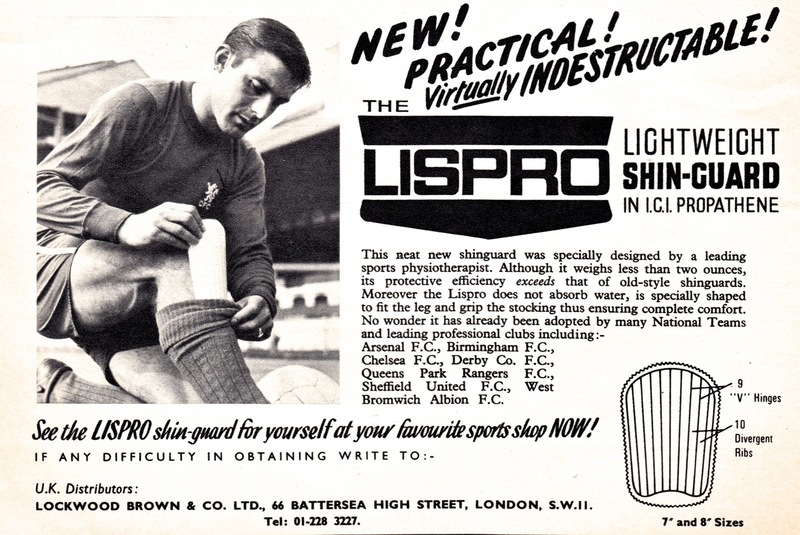 It’s certainly a much easier job than that of the marketing person tasked with selling the shin guard to a nonplussed public. These are worthy and important products for everyone who plays the game of course, but they are the least exciting of football accessories. Does anyone know nor care which brand even the greatest players like Ronaldo or Messi use? 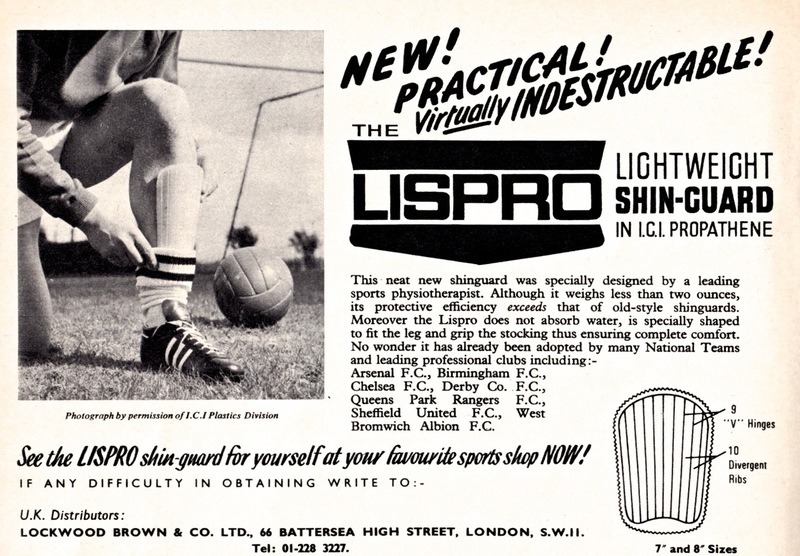 We have assembled a small gallery of retro adverts showing how shinguard manufacturers did market their products. 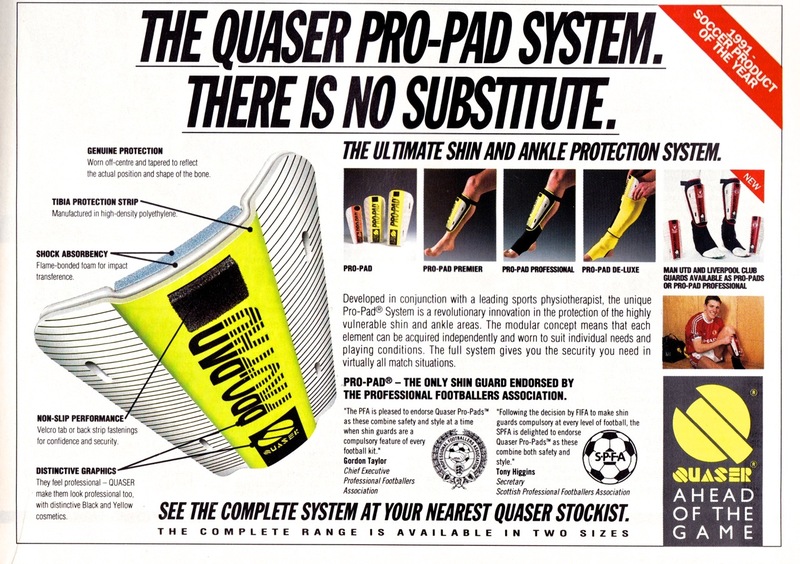 The physiotherapist rather than the star player is generally king here to emphasise all the clever science that appears to go on in shinguard construction. 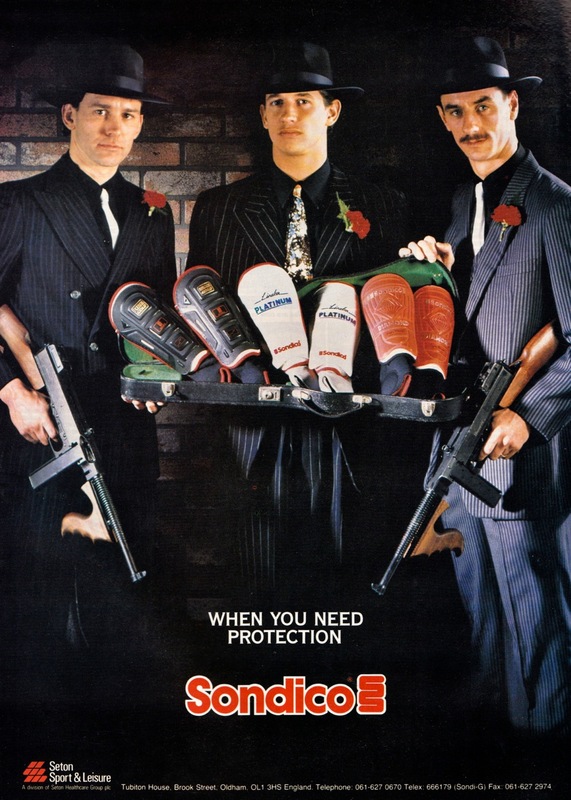 The most literal of exceptions comes with Sondico’s early 90s advert featuring Ian Rush, Gary Lineker and Bryan Robson as 1920’s era gangsters – protection, do you get it? Give us more hinge and rib-based science instead you boffins!